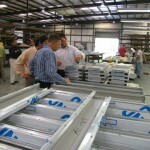 Rainscreen Panel Training - SAF - Southern Aluminum SAF – Southern Aluminum Finishing Co, Inc.
SAF offers a Panel Training session on fabricating SAF’s Rain screen Panel systems. Attendees will learn the details on all aspects of fabricating ACM panel systems, including how to rout, rivet, silicon, and fasten the composite panel systems together. Attendees who complete the Panel Training course will receive a certificate of course completion and training. Participants will also receive a Rain screen Panel Fabrication binder with course information plus Laboratory Testing Reports documenting SAF’s C4000/4500 Rainscreen Panel performance. Held in either the SAF-California or SAF-Georgia facilities, the Panel Training course costs $425 for the first attendee and $225 for each subsequent attendee for that firm. Contact us at info@saf.com for current Training Schedules today. 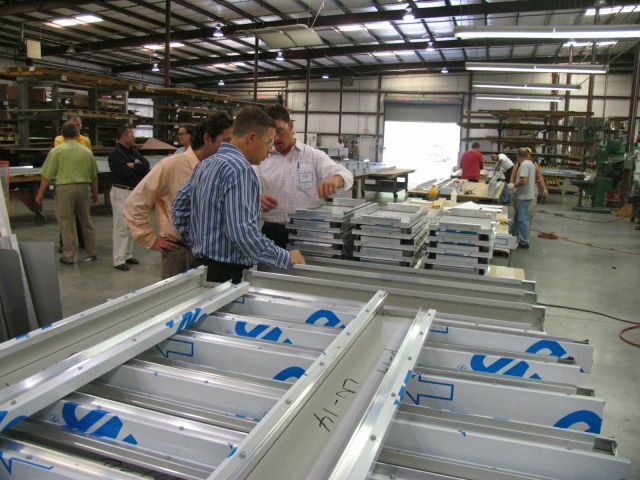 After training SAF offers attendees and customers stock ACM sheets, aluminum extrusions and assembly instructions. Composite wall panel systems offer striking and bold architectural features to any commercial construction project. Light weight ACM panel and aluminum extrusion combine with a remarkable ability to retain flatness. ACM rain screen curtain wall panels have become a standard in architectural storefront and curtain wall facades.